The ‘Make in India’ initiative by the centre just got a clinical boost, with a municipal hospital in Delhi expected to manufacture medical devices. This hospital is based in North Delhi and is now being considered for the said proposal. The decision comes after the said hospital- Rajan Babu Tuberculosis Hospital in Guru Teg Bahadur Nagar has seen some parts of the hospital being underutilized. 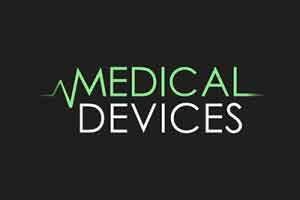 The unused hospital space, is expected to be put to good use by setting up a manufacturing unit of medical devices. The civic body is also expected to earn over Rs 100 crore as a result of renting out the vacant portion of the hospital premise. As further reported by the Hindu, the North Delhi Municipal Corporation’s Rajan Babu Tuberculosis Hospital in Guru Teg Bahadur Nagar has seen the number of patients dip from about 700 to 200, making large parts of the premises unused. “The private ward, auditorium and land totalling 20 acre are not being used all that much. The Health Ministry is looking at using the hospital’s space to set up a facility to make medical devices,” said North body Standing Committee chairperson Mohan Bhardwaj. The North body has been struggling to make ends meet for a year now, forcing it to look at leasing out property. The C-Block of its headquarters, Civic Centre, could be leased to the World Health Organisation for Rs.100 crore per year for five years. The proposal is yet to be finalised, but he said it will give the body Rs.300 crore this year, in security deposits and one year’s payment.